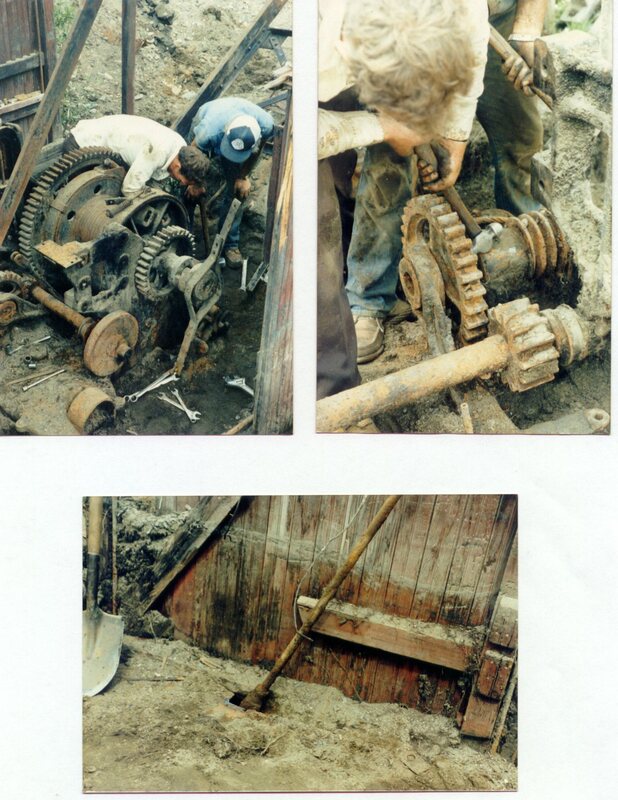 The recovery of this engine was surely not as exciting as the journey into this northern area of B.C. Canada but nevertheless it was a big job. Several trips were taken, some six hundred miles from home, to strip the Marion down and prepare to return with a lowbed, flatdeck and a D5 Cat to bring out the boiler, the deck and the tracks. 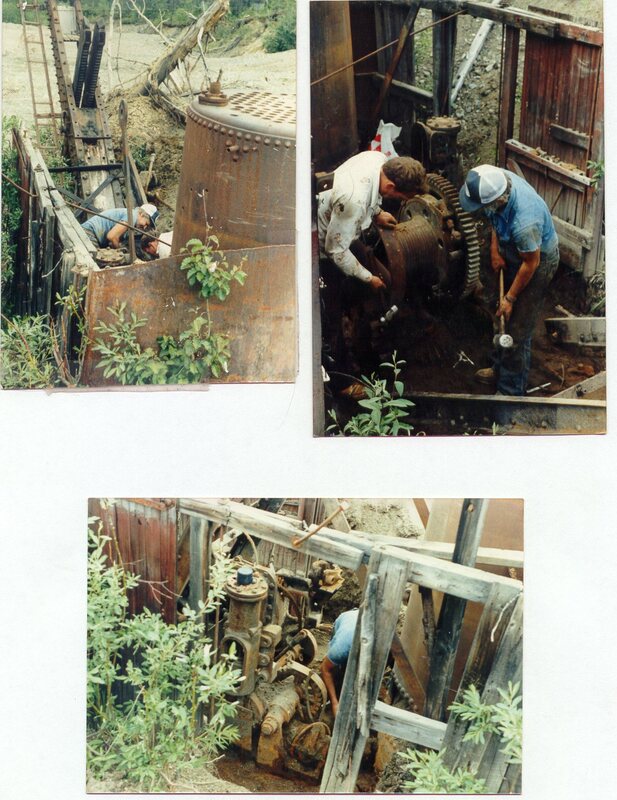 The Marion was sunk in blue clay and it was a huge job to get her out. We had to hire a backhoe to assist.